This smoked beef and pork meatloaf might possibly be the most tasty and moist smoked meatloaf I've ever tasted. 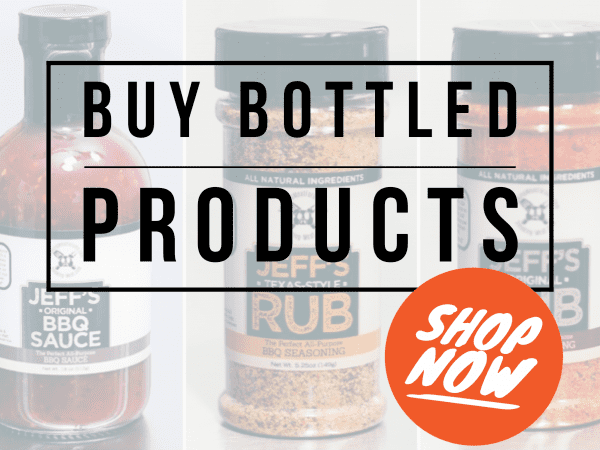 Made from ground chuck and spicy ground pork sausage with other vegetables, herbs and spices mixed in as well as my very own rub and sauce for an unbeatable smoked meatloaf recipe that you will be amazed at. I made these muffin-size but you can also do the traditional large size if you want to. 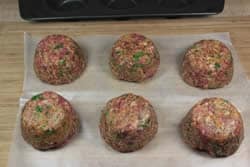 As with most things that I cook, I use my rub and sauce to perfectly season these smoked beef and pork meatloaf muffins. 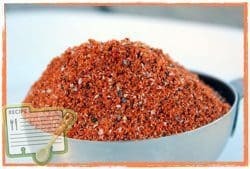 No other seasoning or sauce is needed! 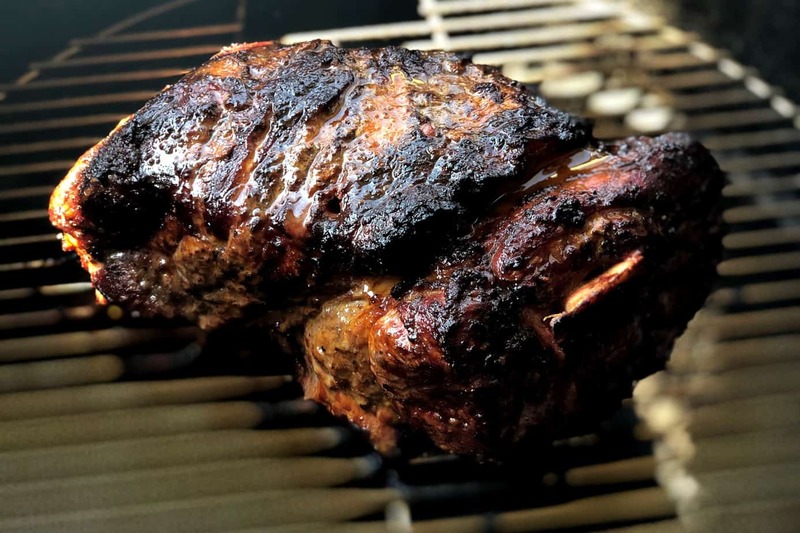 The vegetables are cooked ahead of time to make sure they are soft since they may not have time to get soft during the smoking process. Note: If you want to add some green peppers to the mix, feel free to add a few. 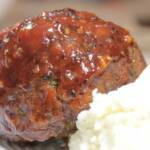 I didn't and although I usually like green peppers in meatloaf, I didn't miss them at all. 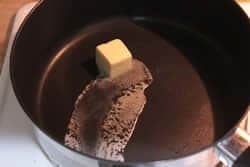 Place the 2 TBS of butter into a large pan or skillet over medium heat. 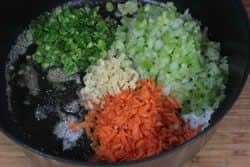 Add the green onions, celery, carrots, onions, and garlic to the melted butter. 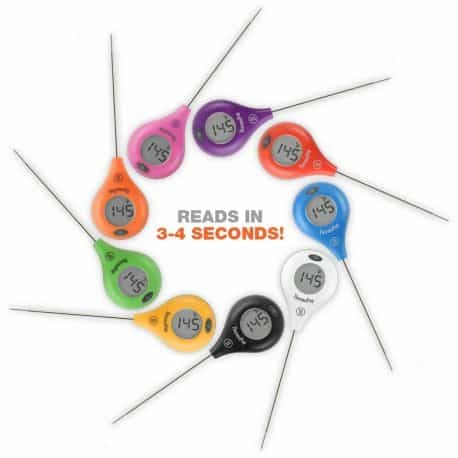 Let it cook for about 4-6 minutes stirring occasionally. 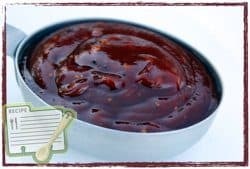 Once the carrots get slightly soft, (won't take long if you grated them) add the 1/3 cup of Jeff's barbecue sauce (purchase recipes here) to the vegetables and mix together well. 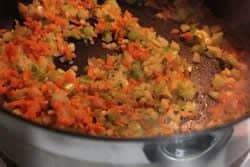 Note: After about 4 minutes, if the carrots are not soft, cover the vegetables with a lid for a couple of minutes to help speed things along. 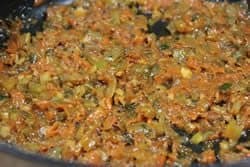 Set the vegetable/sauce mixture aside to cool for about 10-15 minutes. 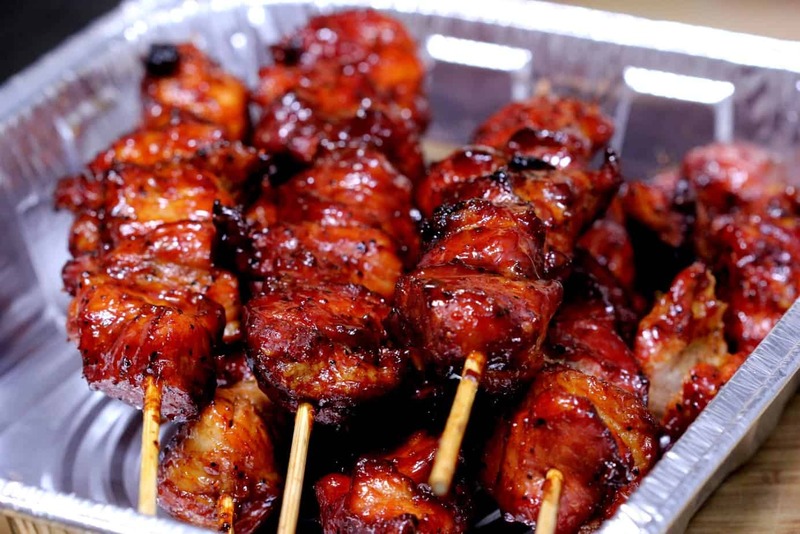 It will need to be room temperature or less before adding it to the meat. 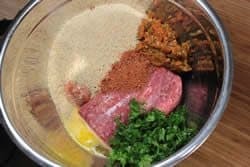 Place 1.5 lbs of ground chuck (80/20) and ¾ lb of ground breakfast sausage (Hot) into a large mixing bowl. 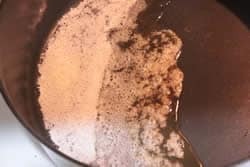 Add the slightly beaten eggs, bread crumbs, chopped parsley, Jeff's original rub (purchase recipes here), and sautéed vegetables to the mixing bowl and mix the meat and other ingredients together until combined. After it's mixed well, form into a loaf and set it out on the cutting board. Separate the loaf into 6 equal portions and place each portion into an area of the large size muffin pan. 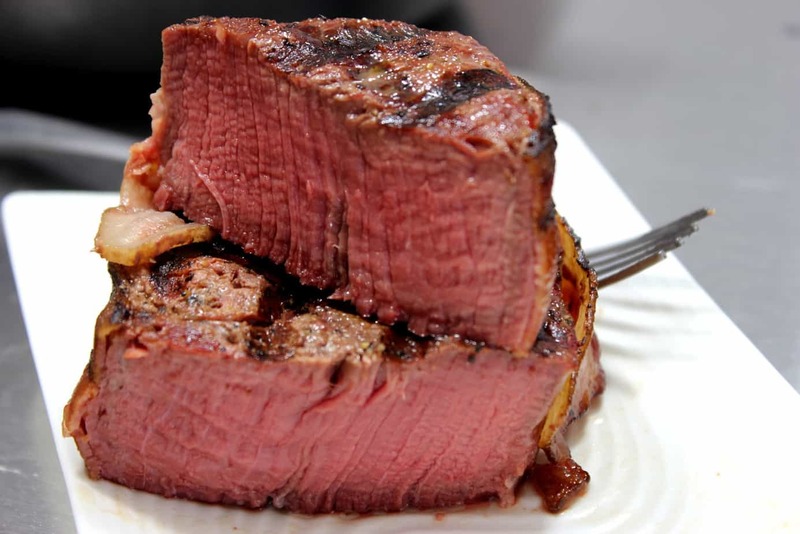 Press the meat into place and flatten the top. 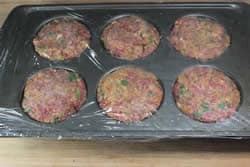 Cover the top of the muffin pan with plastic wrap and place in the fridge for at least 2 hours or overnight to firm it up. After 2 hours or the next morning, remove the muffins from the muffin pan and arrange them on a Bradley rack or cookie sheet. Note: if you have trouble getting them out, use a butter knife along the sides to help loosen them up. 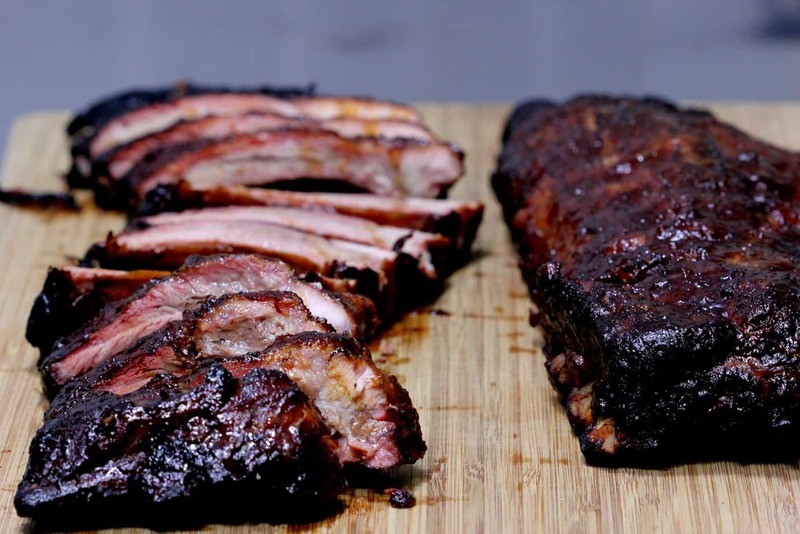 You could also line each hole with foil or wax paper to make it easier to get the meatloaf out. Overall, I had very little trouble getting them out with a little persuasion and a butter knife. 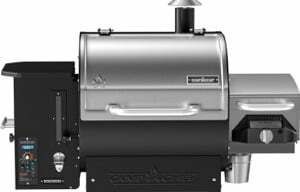 Setup your smoker or cooker for cooking indirect at about 225°F using your electric, charcoal, gas or wood smoker. 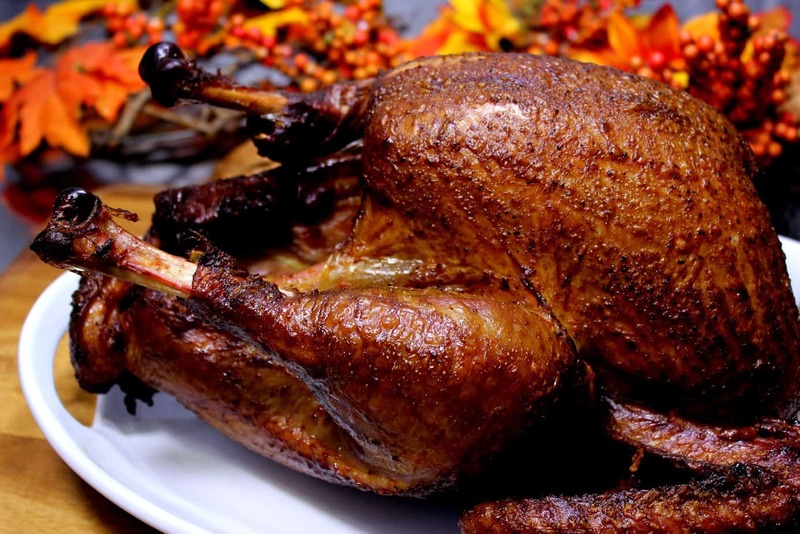 If your smoker came with a water pan, be sure to use it. 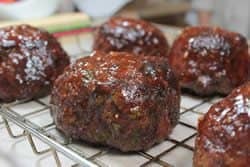 Place the meatloaf muffins into the smoker directly on the smoker grate or to make it easy, use the Bradley rack and just lay the entire rack on the smoker grate. 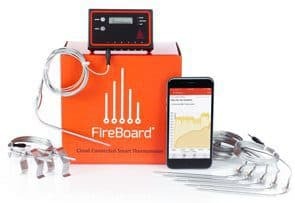 Maintain 225°F of the entire time and keep the smoke going for at least 1 hour but for better smoke flavor, just keep the smoke going for the entire time. 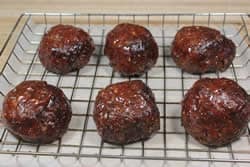 About 30 minutes before the meatloaf is finished or at about 150°F, brush a layer of Jeff's barbecue sauce (purchase recipes here) all over the top and sides of the meatloaf muffins. 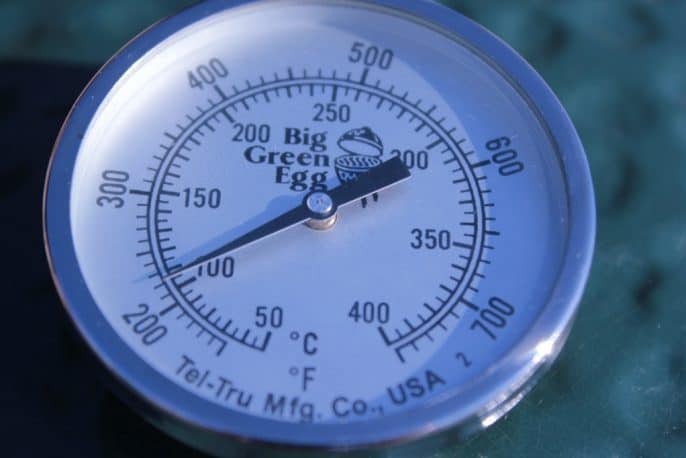 The meatloaf is done when it reaches 160°F in the center. When the meatloaf is done cooking, serve right away with mashed potatoes, corn, mixed vegetables, etc. 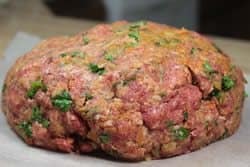 If you are wanting meatloaf sandwiches, consider placing the meatloaf into the smoker as a whole loaf instead of in a muffin pan. 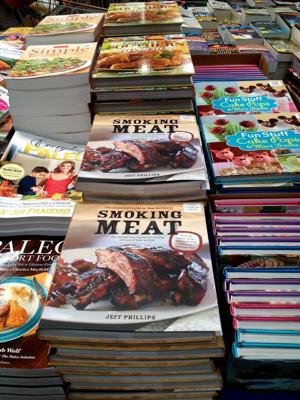 Instead of using the Hot sausage, try italian, sage, maple, etc. for a slightly different flavor. 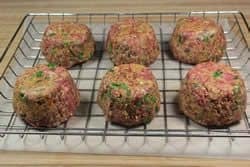 Meatloaf freezes really well so make extra formed into loaves. 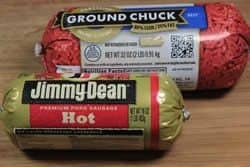 Slice when done and place 1-2 slices into sandwich sized ziploc bags for quick and easy heating and use on a sandwich. 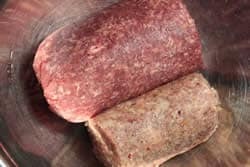 This smoked beef and pork meatloaf recipe might possibly be the most tasty and moist smoked meatloaf I’ve ever tasted. 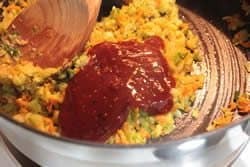 Once the carrots get slightly soft, (won’t take long if you grated them) add the 1/3 cup of Jeff’s barbecue sauce to the vegetables and mix together well. 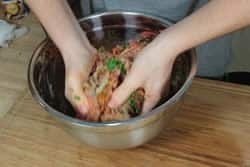 Add the slightly beaten eggs, bread crumbs, chopped parsley, Jeff’s rub, and sautéed vegetables to the mixing bowl and mix the meat and other ingredients together until combined. After it’s mixed well, form into a loaf and set it out on the cutting board. 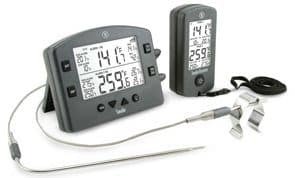 Maintain 225 °F of the entire time and keep the smoke going for at least 1 hour but for better smoke flavor, just keep the smoke going for the entire time. 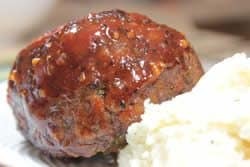 About 30 minutes before the meatloaf is finished or at about 150°F, brush a layer of Jeff’s barbecue sauce (purchase recipes here) all over the top and sides of the meatloaf muffins. The meatloaf is done when it reaches 160 °F in the center. When the meatloaf is done cooking, serve immediately with mashed potatoes, corn, mixes vegetables, etc. We are doing a musicians appreciation for the ones who perform music in our church. 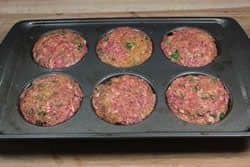 I have served smoked meatloaf on several occasions but when I saw this idea about smoked meatloaf muffins I had a brainstorm. 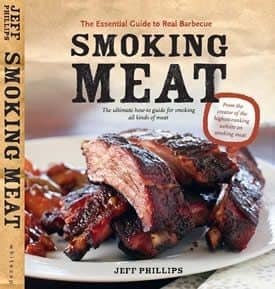 We are making smoked meatloaf cupcakes. We are smoking the meatloaf muffins and then topping them with a “frosting” of mashed potatoes and then drizzling them with either barbecue sauce or bacon “ssprinkles” Thanks for the unique idea!